Behaviour Interactive has just launched a new summer event for Dead By Daylight called the “Scorching Summer BBQ”. Starting today and running until August 21st, players can start taking part in special events and challenges to earn items in the game. We have the primary details for you here, and you can read the finer details on their site, but it looks like another killer event with some fun perks just like the Lunar event back in February. 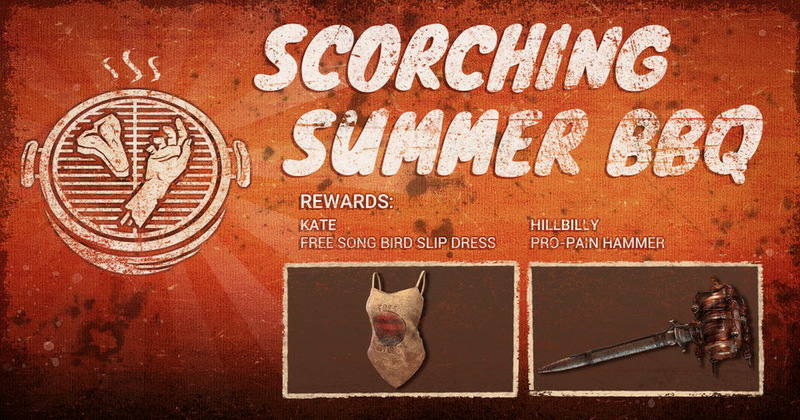 Collect as many Frosty Margaritas & Survivor Chops as possible to unlock the Scorching Summer BBQ customization rewards: Hillbilly’s “Pro-Pain” hammer and Kate’s “Free Songbird” slip dress.